Seen from The Islay Hotel in the centre of Port Ellen, a view of the warehouses of the former Port Ellen distillery and the modern maltings under a dark cloudy sky. 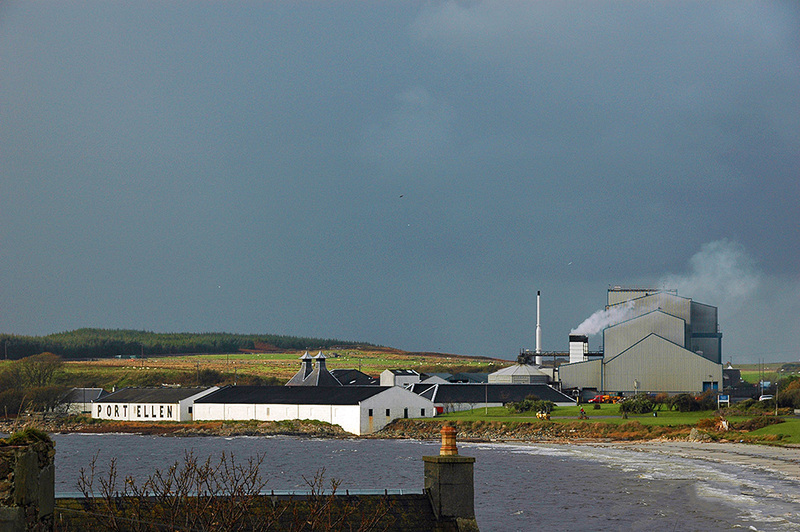 Seen from the ferry, the Diageo owned maltings in Port Ellen which supply most (but not all) distilleries on Islay. On the right also the remaining old warehouses of the now long closed Port Ellen distillery. 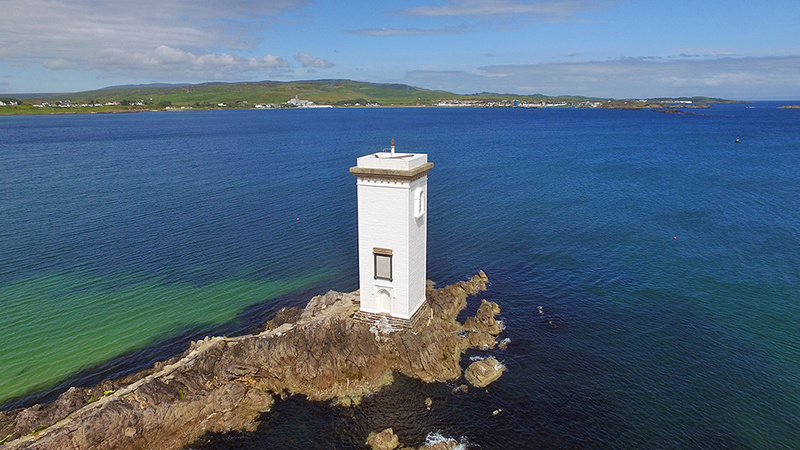 Guarding the entrance to Islay’s main port Port Ellen is Carraig Fhada lighthouse, here seen from the air. The port with the centre of Port Ellen in the distance on the right. 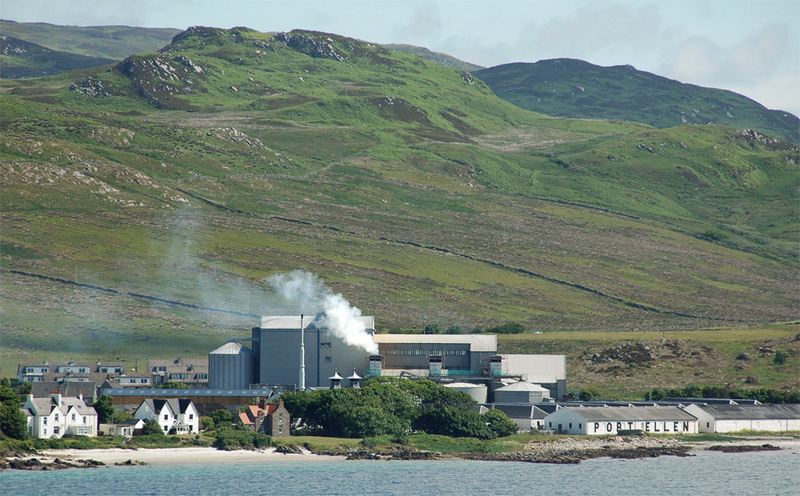 The Port Ellen Maltings and distillery warehouses can be seen just to the left of the lighthouse. In the far distance on the right you can even just make out Laphroaig distillery.